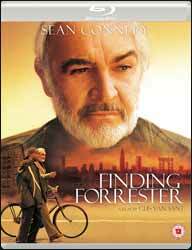 Finding Forrester (2000. 2 hr, 16 min, 10 sec) is a drama directed by Gus Van Sant (Goodwill Hunting (1997), My Own Private Idaho (1991)). The film gained four awards and was nominated for a further thirteen. Sean Connery plays the title role, a character loosely based on J. D. Salinger, himself a notorious recluse who only published a single novel, The Catcher in the Rye (1951), although unlike Forrester, Salinger, did publish a few shorts stories. Forrester is locked away in his apartment, limited to watching the birds outside of his window, while the world ponders on the meaning of his book and reason for his self-imposed isolation. Part of the film's internal mystery is why Forrester has come to this and how through his relationship with Jamal he finds a level of redemption and peace. Jamal (Rob Brown) is our window not only into Forrester’s limited world but also into a world of easy prejudice which Jamal experiences. Even though he gained his college place on the strength of his grades there is a narrative thread throughout his experience of his new school of him, being the black kid, who is there mainly to play basketball, a kind of twisted logic which explains why my wife thought I’d be good at changing disc brakes until I did. To this day, I’m not sure what all those extra bits left over were for. Not only are his abilities belittled by his classmates he is also dismissed by his own professor, Robert Crawford (F. Murray Abraham), himself a failed writer who does not believe that someone with Jamal's background is capable of writing with such skill, a disbelief that finally sees Jamal being accused of plagiarism. The easy racism in the film is balanced by both Forrester and his friendships with Claire Spence (Anna Paquin). The only thing which didn’t resonate as true is the film's denouement, when Jamal is finally recognised as a talented writer and suddenly the ivy league kids who had given him such a tough time suddenly become colour-blind. Apart from the main characters the film also has a good supporting cast including, Busta Rhymes (Terrell Wallace), April Grace (Ms. Joyce) and a blink and you’ll miss it Matt Damon playing a lawyer. The film comes with three audio tracks, including a 5.1 DTS-HD Master Surround, an LPCM 24 bit stereo and an isolated music and effects track for those took tight to pay for the soundtrack album. There are also optional English Subtitles available. The film is presented with a 2.35:1 aspect ratio. On the extras side, the Blu-ray sports The Original Theatrical Trailer (2 min, 30 sec) which gives away too much of the plot, so watch it last; a HBO “First Look” – Making of Featurette (15 min, 03 sec), which is the average long advert for the film where no one has anything bad to say about the production; Rob Brown – “Found” (11 min, 59 sec) on finding the right person to play Jamal; and the Finding Forrester – Choir Scenes (Lean on Me/Lacrimosa) (7 min, 44 sec). It’s a coming of age film which also deals with friendship, redemption and prejudice, a heady mix, but the film also deals with the subjects with both wit and warmth. A great feel good film.